If you thought that this past winter was particularly brutal, well, you’re not wrong. Winter storms Grayson and Benji, a number of nor’easters, and record low temperatures around the holidays all took their toll on weary Pennsylvania residents. Factor in a quote-unquote spring that felt more like a neverending winter, and you’re probably ready for some sunshine. Good news — spring has finally sprung! That means it’s time to shed those layers, put away your coats and hats, and get ready for warmer temps. Tops on your list of chores to get your home ready for the season? Learning how to turn on central air after many months. All you have to do is make sure all of your windows are shut, then push the button on your thermostat, right? Not so fast. For the sake of your health, as well as that of your HVAC system, there are a few AC maintenance steps to take before you can enjoy air conditioning. Take a look at your outdoor HVAC unit. If you insulated it by using condenser covers, coil blankets or lids, remove them — you would be surprised at the number of homeowners who actually forget this step. Leaving any portion of the outdoor unit covered while running the air conditioning can be extremely damaging to the system — resulting in huge HVAC repair bills. Next, do a visual inspection of the unit. Are any of the panels missing, misaligned, or damaged? If so, make a note of the damage and call in the professionals. Because these panels enclose and protect the unit’s electrical connections, it’s important to treat them with care. Take a look at the pipes and their insulation, as well. Animals and adverse weather may have damaged the insulating of the large copper pipe on the unit. You will need to replace this — or have a qualified HVAC tech take care of it — before running your cooling system. Finally, remove any debris from around the outdoor unit. Leaves, twigs, mulch, garbage, or any other items that might impede the performance of your AC unit should be easy to spot — and to clear away. Now, it’s time to head indoors. One of the most important tasks to tackle before AC startup is changing the filters. Bitter winter weather can cause an excess of debris and dust to clog up your indoor air filter. Swapping it out for a fresh one will help your system work more efficiently, therefore saving you money! This is a chore you can most likely perform yourself, but if you are not comfortable doing so, simply mention it to your friendly neighborhood service tech. Similarly, take a look at the supply and return air grills and vents. Are they open? Are they free of debris? The answer to both questions should be “yes” before switching from heat to air conditioning. If the answer is “no,” use your vacuum to clear out dust, pet hair, or any other dirt that has accumulated in the air grills and vents. Check the coil drainage hose, as well. This needs to be emptying properly — into a tray or directly into a drain. Make sure it’s attached correctly and generally in good condition. Problems with the coil drainage hose can lead to a basement flood and potentially expensive water damage. When Should I Turn On My Air Conditioner? We’re glad you asked! The answer to this question, believe it or not, isn’t “on the first hot, muggy day of the year.” If you wait until you absolutely need the air conditioning, only to discover there’s a problem with the system, you’re going to regret it. Instead, choose a day when you’ll be at home, doing other spring chores or just relaxing. Turn on the system, wait a little while, then check to see if cool air is coming out of the vents. If you don’t feel any air at all, or if there is air coming from the vent that’s not cold, there is a problem somewhere in the system. 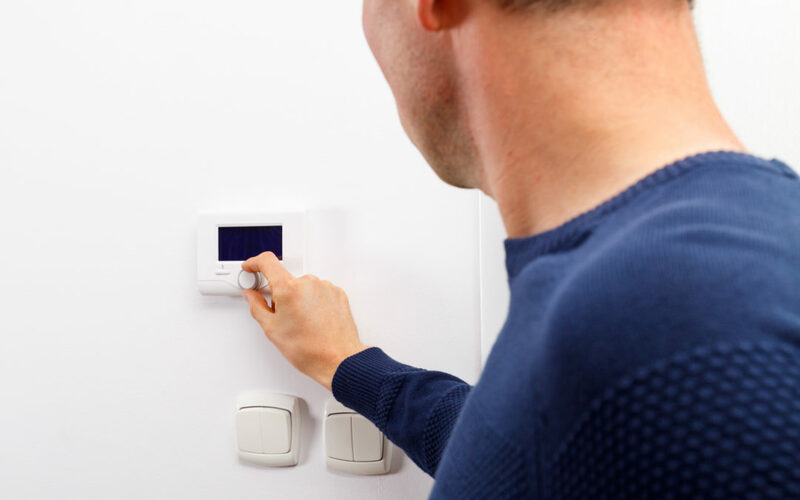 If the AC takes a long time to turn on, or blows warm air, or isn’t blowing at all, that’s a sign that you should get the system checked out by the pros. They know how to turn on central air and evaluate your system. If repairs are necessary, you will be glad to get this issue resolved well before you start sweltering! When you still have your warm winter gear within reach and your ice scraper handy, it can be hard to even imagine being so hot that you need to run the air conditioner! But temperatures will climb up into the 80s and 90s, and before you know it. Taking the time to inspect your HVAC system now, and to resolve any small problems you might discover, will pay off when the heat waves start to happen. Keeping your filters, ducts, coils, and hoses in good condition will not only ensure your comfort later on in the summer, but it will also forestall expensive damages and repairs. Let Us Take the Guesswork Out of AC Service! Call Williams Service Co. if you have any questions about the condition of your air conditioner, or if you simply want to schedule routine maintenance.